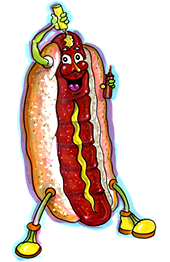 Our superb blend of pork and Beef, that’s free of fillers is what made our sausages world famous! 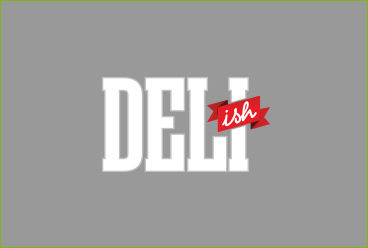 We provide high-quality gourmet products. 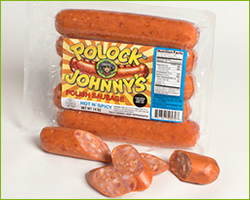 Our premium sausages offer the perfect snap and the mouth-watering taste that Baltimoreans have loved for years! 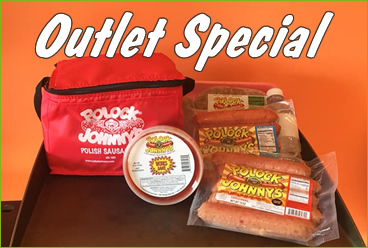 The Original Polock Johnny’s Polish Sausage with additional, herbs and peppers to give it just the right kick! The "WORKS" Sauce is made fresh and "WORKS" great on just about anything. his sauce has become so popular that we even sell it by the gallon! Baltimore's Origional Polock Johnny's gear. 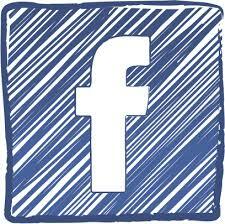 Wear your "Bawlmer" gear loud and proud and let everyone know about one of most frequently sought out places in Bawlmer! Whether you are cooking outside on a grill, or inside on your stove. 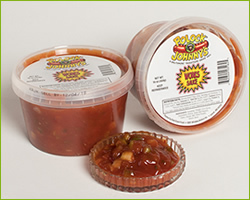 We can provide insight on some of the best techniques that are used to maximize the flavor of our Polock Johnny's products. Top 3 Recepies using the works sauce! Our works sauce has become so popular we now sell it by the gallon. People have been using it for more than a topper to dishes, it has now been incorporated in soups,cassaroles, and a number of other entrees. We have our top 3 uses listed here. 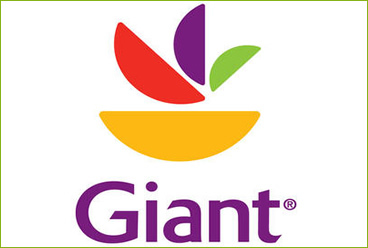 Enter your recipies using our products and win dinner for four! 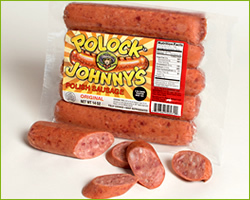 I grew up eating at Polock Johnnys in Baltimore and was delighted to find that I can now purchase sausage packs from my local grocer, Thanks! 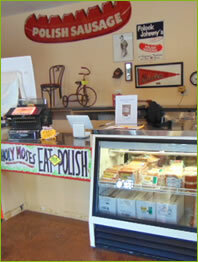 I wanted to tell you how amazing it was to see the items you have on display at the outlet and how much we love the food. It is truly a beautiful place!